Many of our most-watched TV shows may be off season, but we can’t wait until we can hang with all of our favorite friend parings again. Let’s take a few minutes to recap the top 10 BFFs of recent years. Taystee and Poussey have had some rough patches, sure. They’ve made it through the bad times, though, because this book-loving, comedic duo are more like sisters than BFFs. Morgan’s one crazy cat, but he always comes through for his “Dr. L.” He’s safeguarded Mindy in the aftermath of an apartment break-in (along with an unauthorized puppy), tried to protect her heart from unsavory suitors, and given her the laughs she needed on those bad days at the practice. Stan’s been the most consistent Mad Men character in his steadfast support for Peggy. He gave Peggy the benefit of the doubt when the rest of her creative subordinates jumped ship following her rise to copy chief, and Stan was there to (somewhat slowly) come to her rescue during an awkward ex encounter in the break room, too. Peggy and Stan help each other work hard and play hard, and they’re better causing chaos together than they are apart. We love to see women cheer each other on in their life and careers, and Leslie is definitely Ann’s number 1 cheerleader. Whether she’s reminding Ann of her beauty and smarts or persuading her to take on a higher-level job, Leslie knows how to make a girl feel loved by her bestie. And let’s not forget: Galentine’s Day wouldn’t be possible without the chemistry these two have. This unlikely trio has totally changed the dynamic on The Big Bang Theory since they started scheming together. Penny, Amy, and Bernie embrace their differences, get us laughing through all of their antics gone awry, and keep the Big Bang boys on their toes. Aside from admiring how well Ichabod and Abbie’s good looks go together, we also adore this pair for their fun banter and instinct to trust each other despite all odds. They can solve whatever supernatural case is thrown their way with grace and good humor. Of course, the friendship among all the cast of GIRLS is special, but Shosh and Jessa in particular have a bond we can appreciate. Neither girl is afraid to speak her mind, and that may make for lots of clashing personality, but it also means we get to watch them help one another evolve. Shosh takes Jessa in when she’s at her lowest. Jessa calls out Shosh when she’s the most sloshed. They can be hot messes, but these cousins are always pushing each other to be better. Jess and Cece go way back. They’re the essence of girl power and BFFs at its best, and it’s always entertaining to go on hilarious capers with these two. 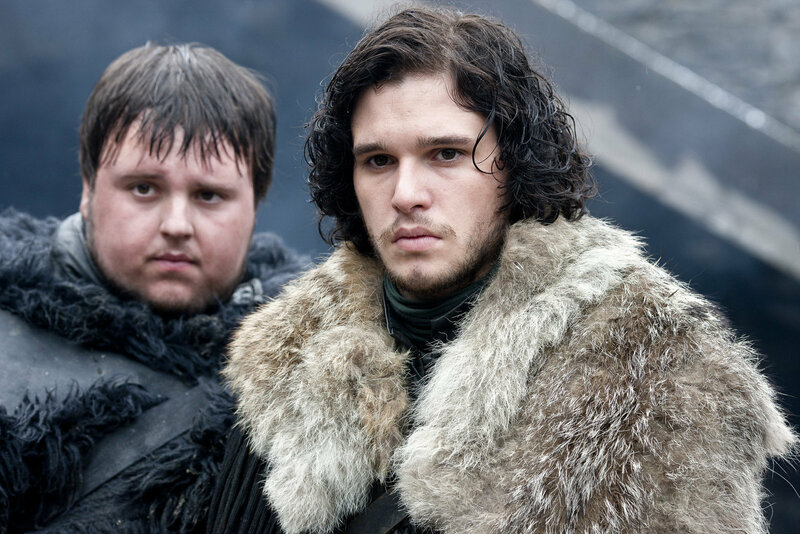 Jon and Sam have been through a lot together, and they’ve managed to so far survive George R. R. Martin’s world — no easy feat — thanks in part to their friendship. These guys tickle us with their mutual adoration. I love Sleepy Hollow and Sherlock. The adventures are fun and thought provoking but it’s the friendships that keep me tuning in.